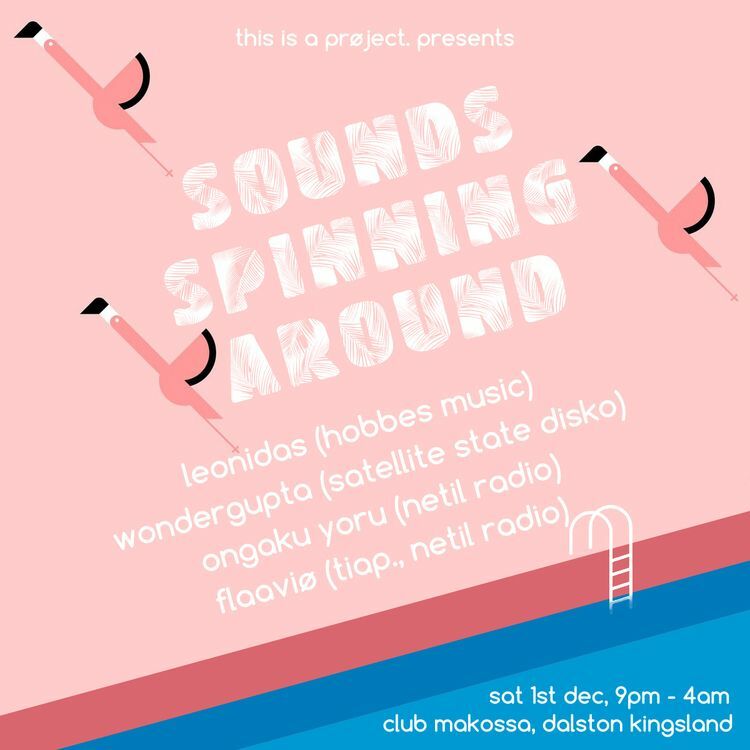 after 1 full year, søunds spinning arøund is back @ club makossa in dalston. music will be curated by yet another eclectic line up of djs to bring you once again a full spectrum of beats, melodies & emotions. the motto stands strong: come with dancing shoes & open minds. 4 dj acts, each bringing their own musical cosmos, from 9pm onwards. we have the late licence, come full of energy & positive vibes. expect disco, grooves, electronica, house/deep house, techno, latin, afro beat, japanese, nu-disco, balkan etc.